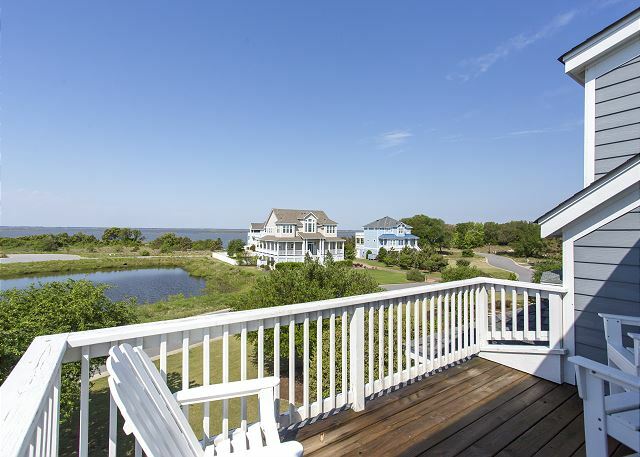 Spend your vacation in luxury when you vacation in “Shooting Star." 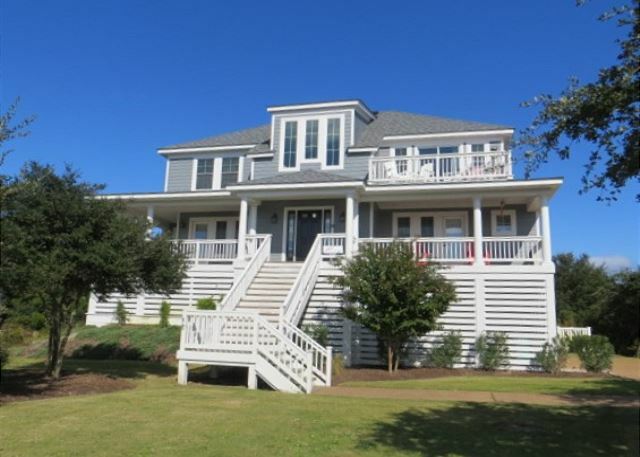 This 6-bedroom home located in The Currituck Club features 3 Master Suites. 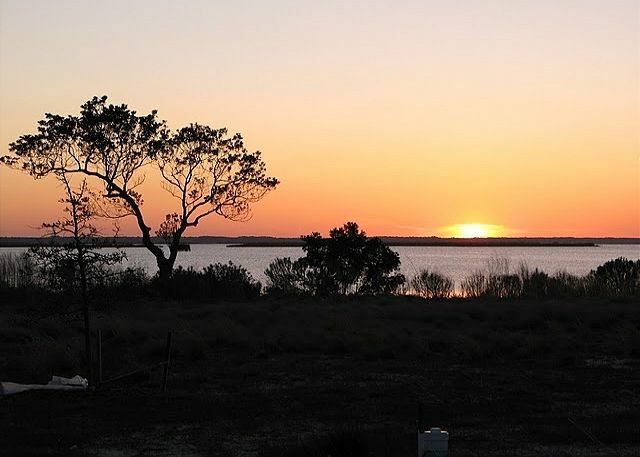 Enjoy spectacular sunsets over the Currituck Sound from the various decks and spend lazy days, poolside at the private pool, soaking in the hot tub or enjoying the meals at the picnic table in the backyard. 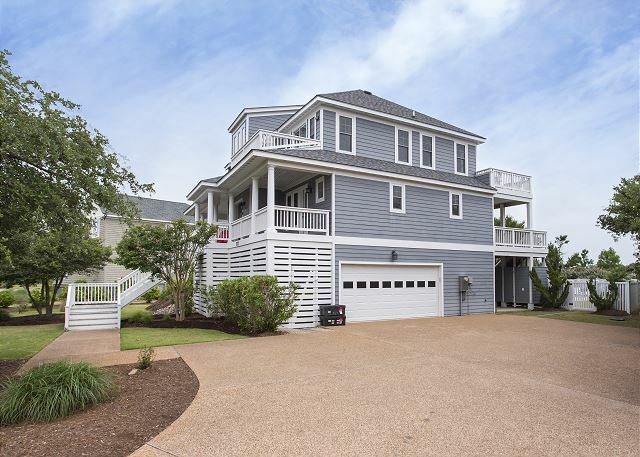 On the upper level the open concept design allows for large family gatherings with a vaulted ceiling great room, flat-screen TV, dining room (seats 10) and kitchen island (seats 6). A King Master Suite with private bathroom that has tiled shower and double sinks also has a flat-screen TV. 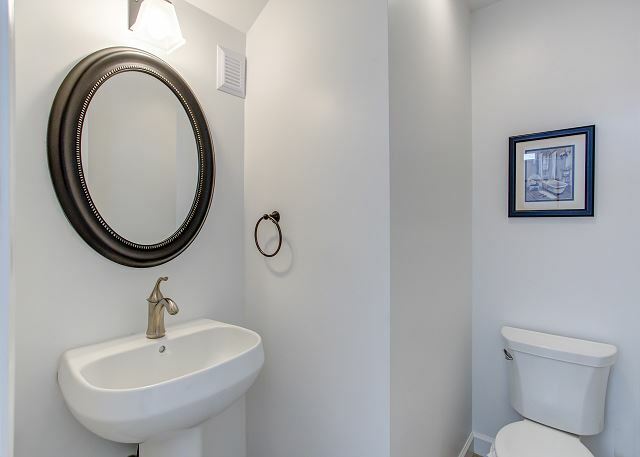 There is also a half bathroom located on the landing up to this top level. 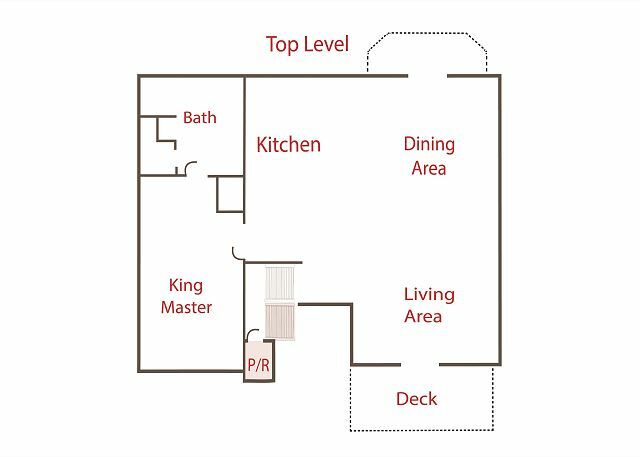 King Master Suite with private bathroom and porch access to the front of the house. 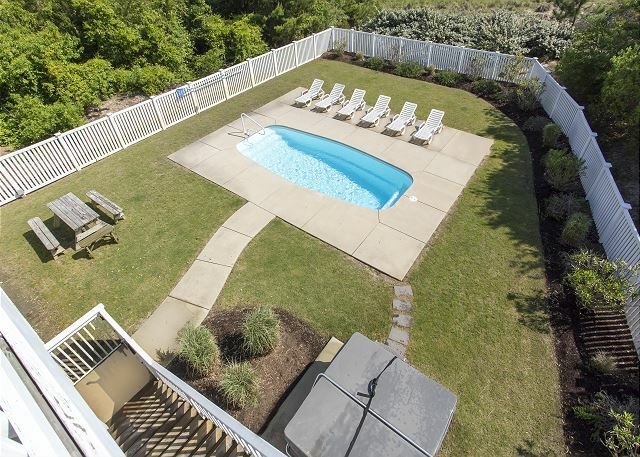 Queen Master Suite with private bathroom and deck access to the back of the house. 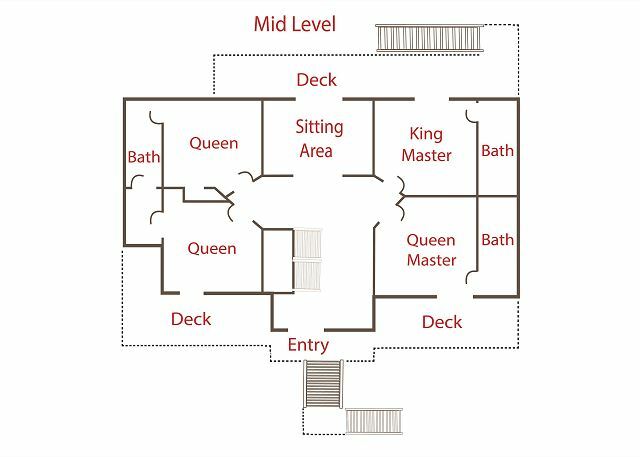 On the opposite side of this floor, two Queen bedrooms each have a half bathroom and share a tub/shower between the two rooms. 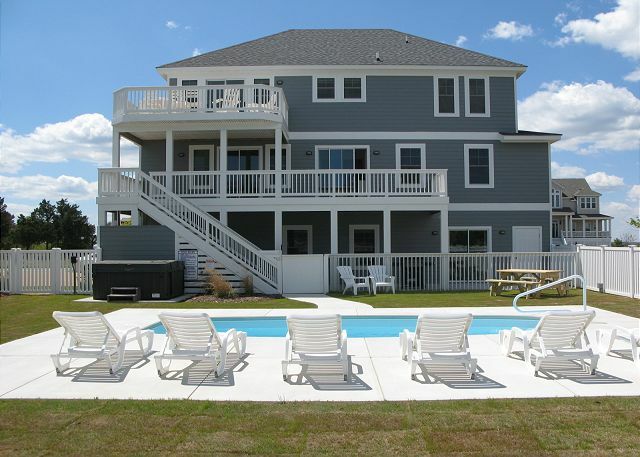 All the bedrooms on this level have flat-screen TV’s. 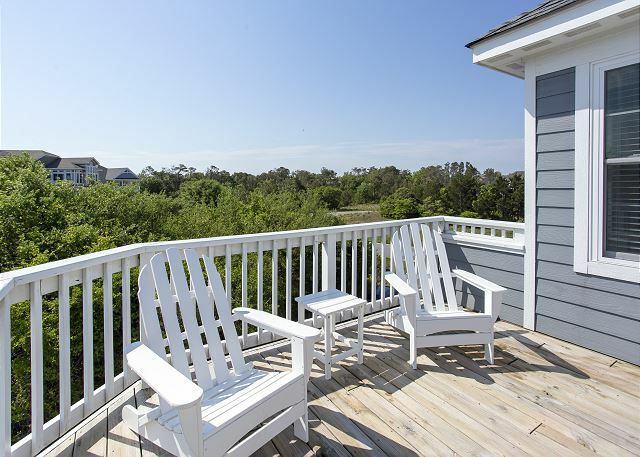 There is also a beautiful sitting room in the center of this floor with deck access. 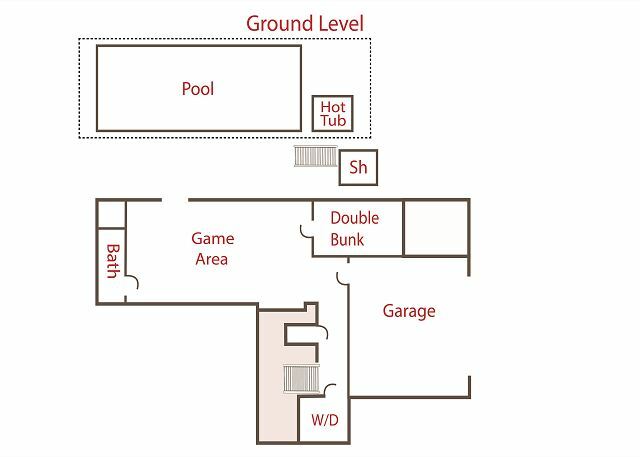 Kids will enjoy their space with a bedroom on the lower level which has 2 bunk beds and accesses the game room. 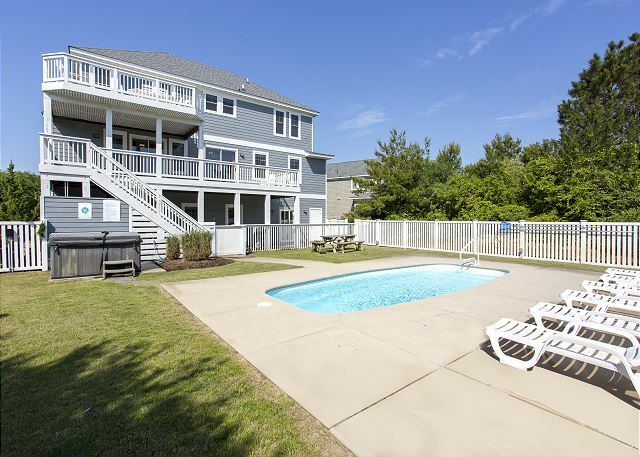 The Game Room features a wet bar, full-sized fridge, TV and Foosball table. There is a washer/dryer area and a full bathroom on the ground level. 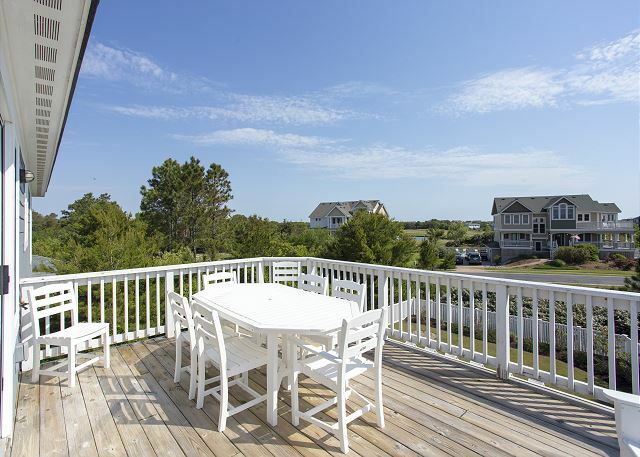 As a guest in this home you will also be able to enjoy all The Currituck Club resort amenities which include community pools (closed October – May), tennis, basketball, volleyball, fitness center, Clubhouse with on-site dining, seasonal trolley service, beach valet, Surf Shack, life guarded beach access and bike trails. 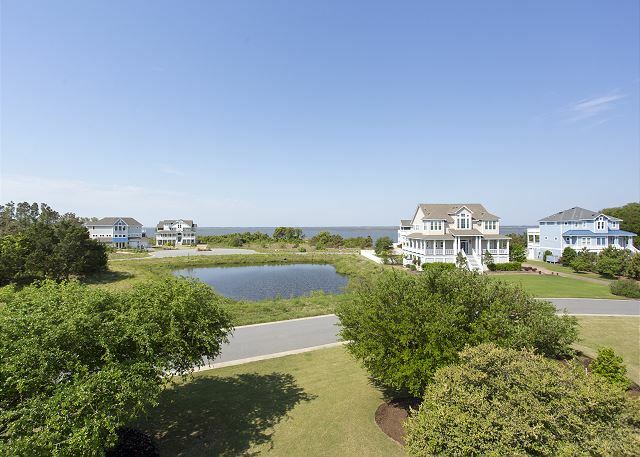 There is also a semi-private 18-hole championship golf course, designed by Rees Jones, which winds throughout the neighborhood and along the Currituck Sound.